MALLET, A.M. - La Chine. La Chine. - MALLET, A.M. Size : 5.9 x 3.9 inches. / 15.0 x 10.0 cm. 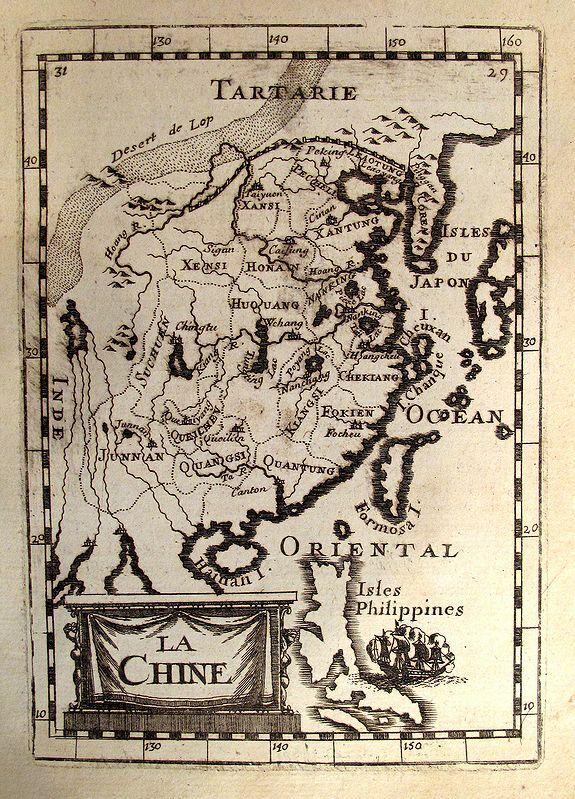 Description :A charming small map of China, Taiwan, the Philippines, Korea, and Kyushu (Japan). From the original French text edition of "Description d'Univers..." by Allain Manneson Mallet (1630-1706), a well travelled military engineer and geographer who worked in 17th century France under King Louis XIV. Condition : Page trimmed, otherwise fine.